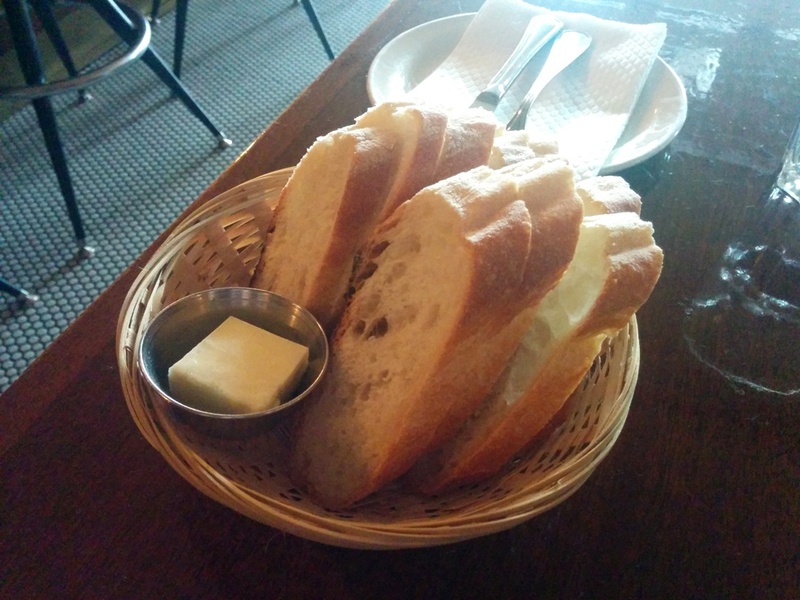 Started off with some complimentary bread! They gave us a lot given that we only had 2 people. 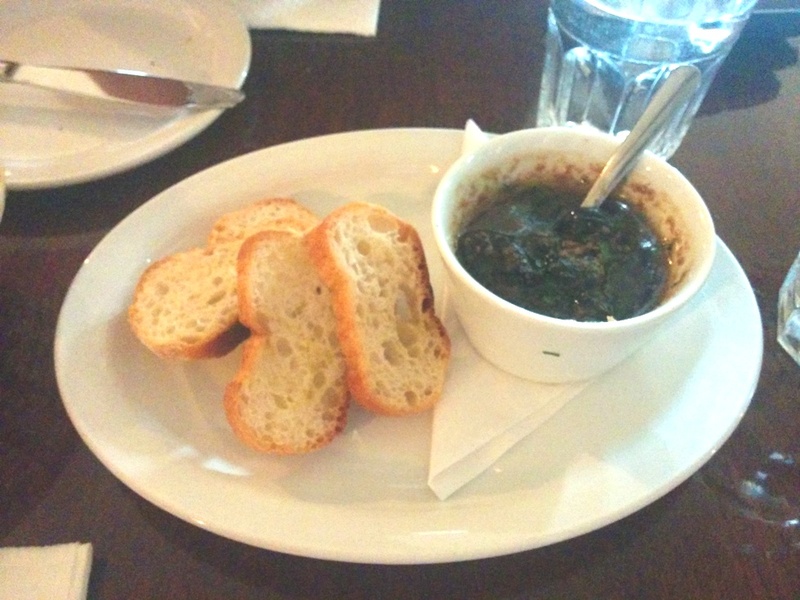 For our appy, we had the Escargots de Bourgogne served with crostini. This is the first time I’ve had escargots not counting the time I had it at my uncle’s house in high school. The escargot was swimming in a rich concoction of garlic and parsley. We could taste a bit of spice in it too. The texture of the escargots was slightly rubbery and toothsome yet still soft. We used the rest of our complimentary bread to soak up the sauce since there wasn’t enough crostini. 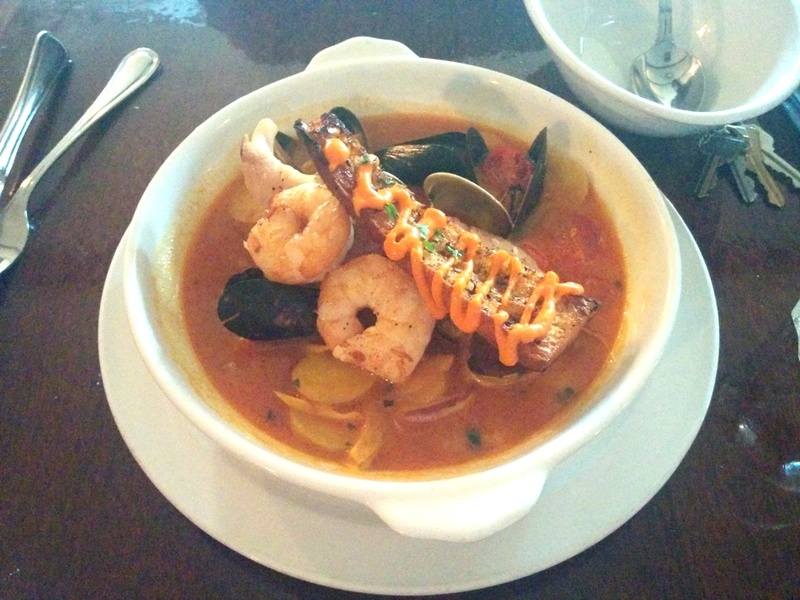 This was the Bouillabaise with an assortment of seafood including snapper, prawns, clams and mussels with fennel and rouille in a saffron tomato broth. There were also a piece of garlic bread resting on top. I found that the broth had a strong saffron flavour and it was not that tomato-y despite the color. The prawns I tried were very snappy and delicious! They really picked up the flavours of the broth. 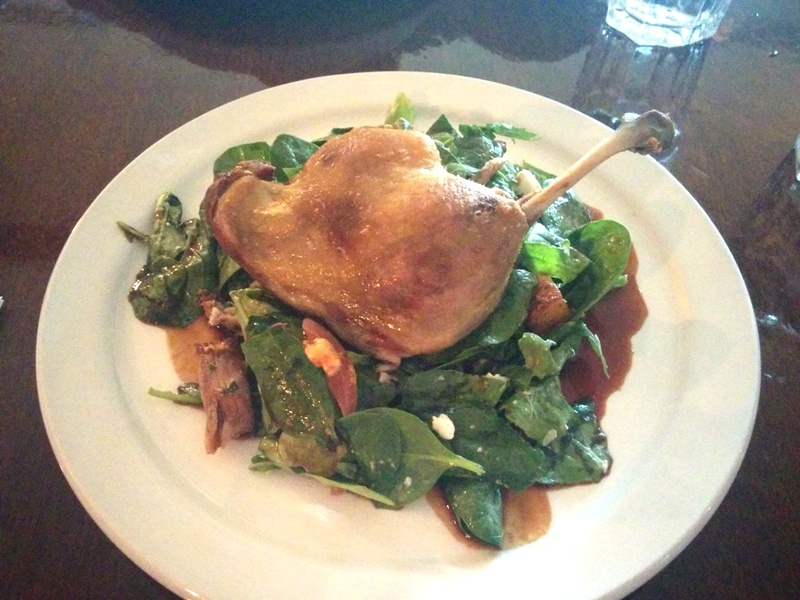 I had the Canard Confit which I had already set my mind on prior to my visit. I love duck! The duck was served on a warm salad of Sarladaise potatoes (potatoes cooked in duck fat), goat cheese, arugula and port jus. This was a great entree choice! The salad was addictively good! The Sarladaise potatoes further reinforced the flavours of the duck since they were cooked in duck fat. The duck itself was moist and tender and the meat came off the bone very easily. It may have been a tad salty near the end though and I wish the skin could’ve been a tad crispier but otherwise it was perfect! Despite feeling rather full, I couldn’t pass up the chance to get dessert since the rest of the meal was going so well. 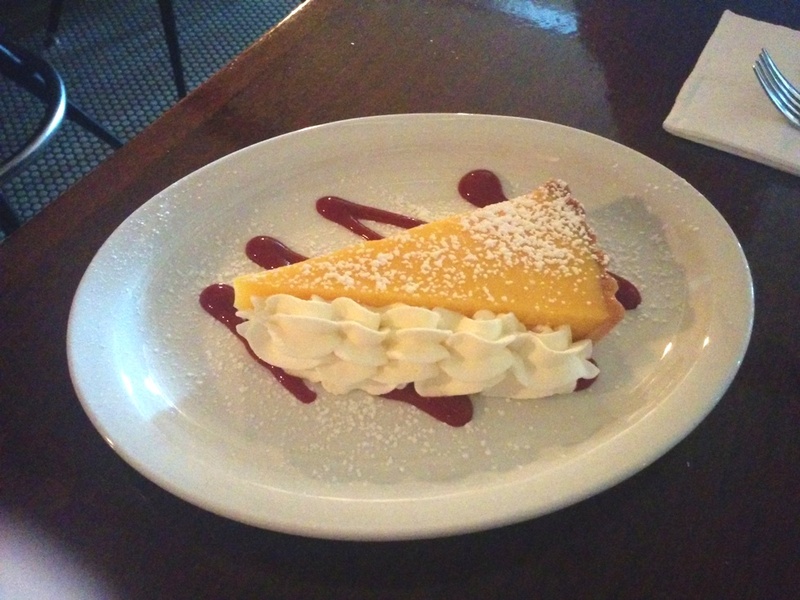 I decided on the Lemon Tart and the slice that arrived was quite large! However, despite my love for lemons and tart things in general, I found this to be much too tart. Even for me. It just needed a lot more sugar. Overall I had a satisfying meal here and the prices are very reasonable! I can’t wait to come back! What’s your favourite French restaurant?